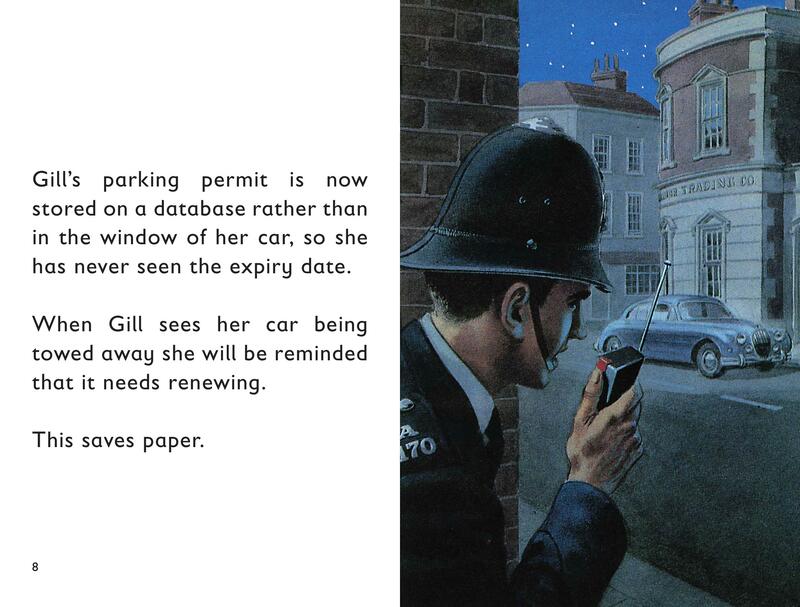 Yet another laugh out loud book in the brilliant series, “Ladybird Books for Grown-Ups”. This book, about the dreaded red tape that we all have to deal with, struck a particular chord, especially on a day when I’d had to call my bank a record 7 times, being passed from pillar to post, back to pillar and back to a different post, endlessly giving my poor late mother’s maiden name and my date of birth to people who would then pass me onto the wrong department…sorry, sorry…you’re right. This isn’t about me. This is a book review. So yes, back to reviewing a fun book about red tape. Another part that resonated was this extract (below). I love the old-fashioned illustrations – which is how we all remember Ladybird books, of course – which are totally at variance with the text. A fun read, as ever with this series, combining childhood nostalgia with wearied adult reality. 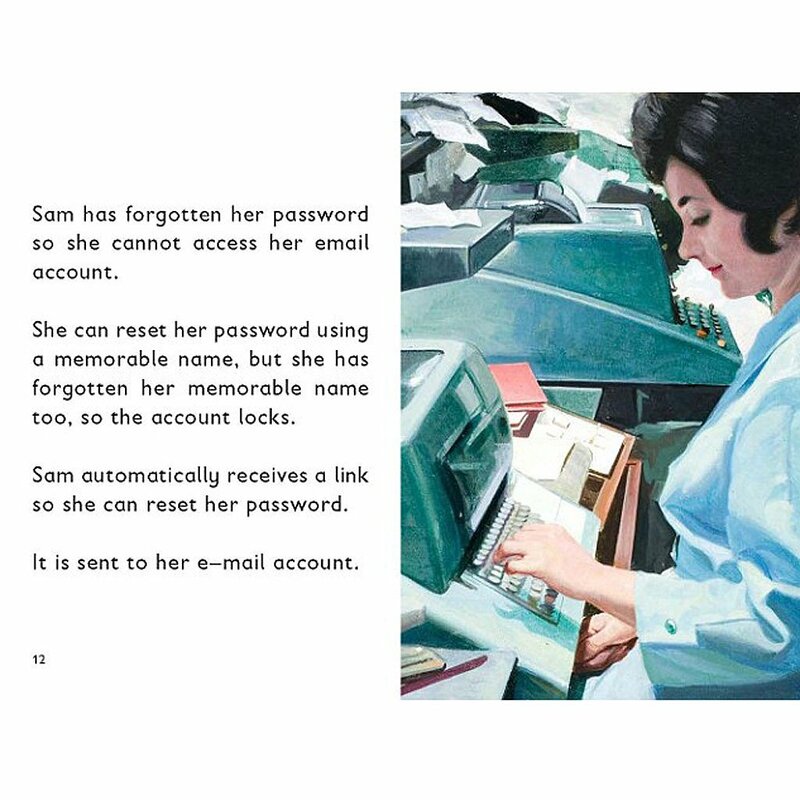 This is another cracker in the Ladybird Books for Grown Ups series, which taps into our nostalgia for these books that were so much a part of our childhood. The look, the feel, the font, the illustrations – all are perfect clones of the wholesome books of yore. Except that these books are for grown ups. I had indeed forgotten sharing this with you, which all goes to show that the “frequent repetition” the editors mention is obviously much needed. In “The People Next Door” we see pictured the peaceful suburban England of the 1950s. This is a fun, quick read and makes for a great gift. If you feel like buying it, couldn’t be easier. Just click on the link below. You know how to do that, right? 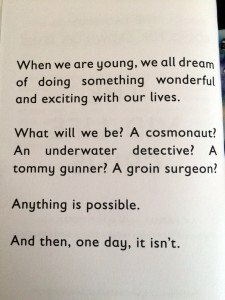 You are grown-up, after all. 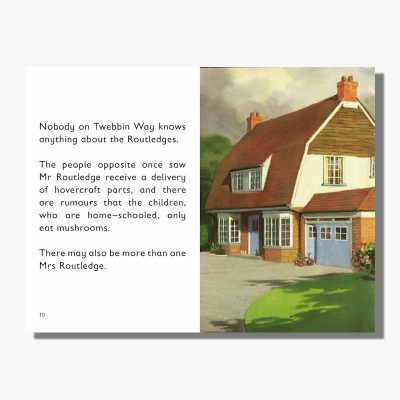 I laughed out loud reading this utterly brilliant spoof on the classic Ladybird Books, books published by Penguin Ladybird Books themselves. In other words, this is authorised taking the mickey. 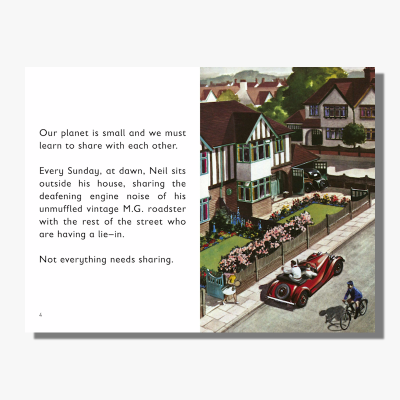 I don’t think I’ve looked at a Ladybird book in – what – 20 odd years, since my now adult children devoured them in their primary school days, pretty much the way I did as a child. 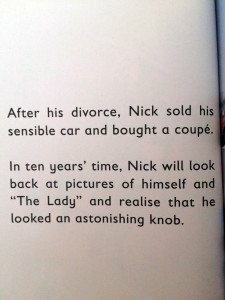 As a family, we all grew up on the wholesome Ladybird books. What is so fab about these new grown-up books is that they look and feel exactly the same as the originals. Only the content is, well, somewhat different. Funny trip down memory lane. And if you were not lucky, as I was, to get one of these for Xmas, go on, be grown up about it and buy yourself one! And if you’ll excuse me, now I’m off to do some adult colouring, like Sally.